Caltex Australia announced plans to sell 15-25% of its existing freehold site portfolio, which has an estimated value of AUD 2 billion (USD 1.4 billion). The company said it is now exploring with experienced partners a potential strategic real estate partnership that will leverage its retail real estate assets and the potential partner’s management and development capabilities. Caltex Australia said it plans to retain between 25-50% equity interest. 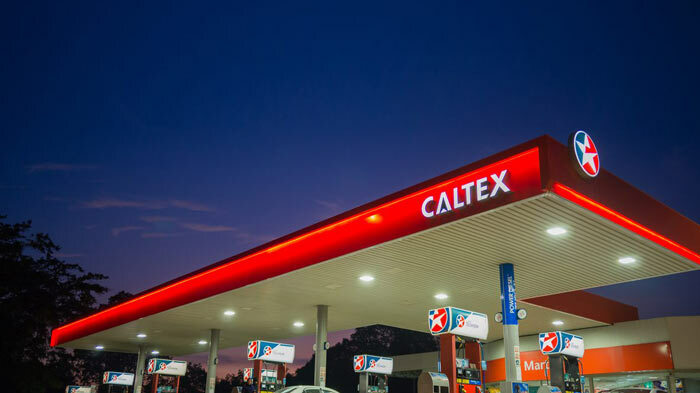 “This will enable Caltex to benefit from market value and development gains, and allows evaluation of the benefits of the partnership structure, with a view to further monetisation where value can be demonstrated,” the company said. The company had been reviewing real estate and infrastructure assets within the group that include 417 freehold petrol station sites, 65 fuel depots, 18 terminals and five pipelines. Talks are understood to have been held with a number of potential partners in Australia and Asia, including Charter Hall, Dexus, APN Property, Hong Kong’s Cheung Kong, and Singapore’s sovereign wealth fund GIC. “These are big, sophisticated retail and other property investors that bring not only investment funds but they bring expertise in how you can manage and develop real estate to capture value,” said Chief Financial Officer Simon Hepworth. A potential deal is expected in early 2019. Meanwhile, the Fuels & Infrastructure asset review concluded that, despite strong investor appetite, a significant portion of the company’s infrastructure portfolio comprises key strategic assets, with net proceeds likely to be largely offset by credit rating debt adjustments and tax leakage. “With the completion of the commercial separation of the Fuels & Infrastructure and Convenience Retail businesses, Caltex is primed for sustainable growth,” said Managing Director and CEO Julian Segal. Yesterday’s announcement was broadly in line with guidance and demonstrates the significant progress in Caltex’s transformation, with the completion of the commercial separation of the Convenience Retail and Fuels & Infrastructure businesses. Fuels & Infrastructure EBIT (earnings before interest and taxes) rose 9% to AUD 314 million (USD 230 million), despite lower refining margins. Total volumes were up 12% to 10.2 billion liters in the first half of 2018, including a 3.5% increase in domestic sales (retail and wholesale) to 8.4 billion liters, and an 87% increase in international volume to 1.8 billion liters. Convenience Retail EBIT of AUD 161 million (USD 118 million) reflected a decline of 14%, as a result of the impact of rising crude and product prices in 2018, versus falling prices in 2017 and ongoing store transitions.